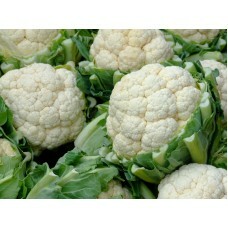 Cauliflower, while similar to Broccoli, does not have a flower on it's head. Full of Vitamin C and K, they are a great addition to any cool season garden. 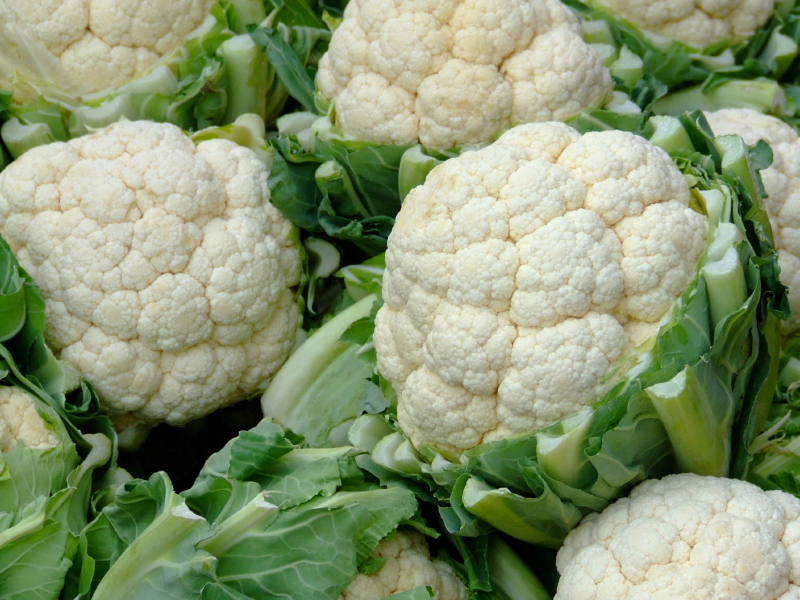 Cauliflower prefer Full Sun areas with well drained soil in the 6.0 to 7.0 pH range. They grow best in our cool fall weather around 60 degrees Fahrenheit. Plant in late July or Early August in order to produce before the first frost. Yield dates range from 50 to 120 days. a 10 foot row will usually yield 8 lbs of produce. We reccomend using 3 tablespoons of a 30-0-0 fertilizer per 10 foot row as Cauliflower are heavy feeders.